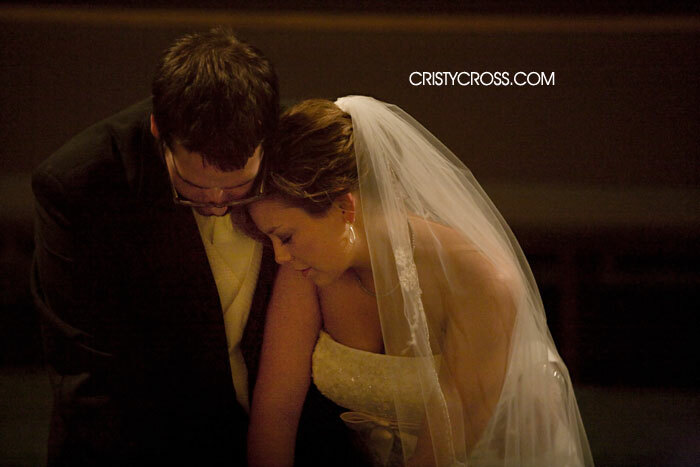 I have never cried at a wedding I've shot. I've come close, but never cried. That is until Haleigh and Calebs wedding. My camera was shaking, as I was fighting back the tears. My eyes were getting all foggy and it was difficult for me to see through the view finder. This couple was SO ment to be together and I was SO ment to be their photographer.One day back in October 2008, I was trying to figure out how to get more engagement clients. I loved engagement sessions, but didn't get very many. They all wanted me to do there wedding, but already had a family relative or friend do their engagement pictures. So I posted "FREE engagement session when you book a wedding with me." I quickly received an email from Haleigh saying she was interested. There was a problem though. She thought it was a free engagement session period. When I explained to her through email that it was only free when you book a wedding with me, I was disappointed and so was she. That night, my heart kept speaking to me and God was telling me that I should do their engagement session anyways. I read up a little of them on facebook, and that is when I first saw just how special they were as a couple. They were so sweet even on facebook. So, to make a long story short, I emailed her back and said, "lets do this!" We had a blast at their session, and I had an awesome time with the two of them. They were so sweet to me, they even brought me a present that I still have in my office today along with my favorite lotion. After they saw their pictures from the session, I received an email asking if I still had June 13, 2009 available. I was so thrilled, because I was going to get to be the lucky photographer to be with them on their wedding day. Through this client relationship, a friendship has definitely formed and I couldn't be more grateful. God has blessed my life by putting these two in it.